Condition: Good. Gently bruised at head & tail of spine and corners. Edges of the textblock lightly spotted. 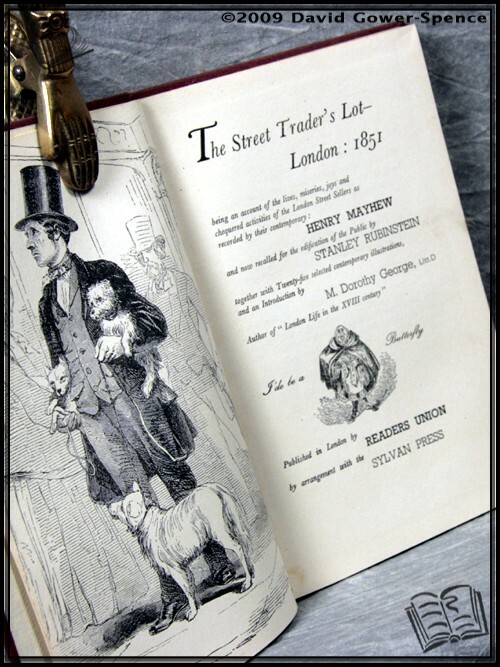 Being an account of the lives, miseries, joys & chequered activities of the London street sellers as recorded d by their contemporary: Henry Mayhew and now recalled for the edification of the Public by Stanley Rubinstein together with Twenty-five selected contemporary illustrations and an Introduction by M. Dorothy George, Litt. D.
Size: 8¾" x 5½". Red boards with Silver titling to the Spine. 168 pages.